How Do You Finance A Commercial Real Estate Purchase? If you enjoy making money, you most likely look for opportunities past the conventional savings many people do. Most people save up six to nine months of income in a bank account or money market fund and then start saving for retirement in stocks and bonds. It's good to do all that yourself, but if you already have plenty of money there, you've likely turned to real estate to make even more money. However, the residential real estate market might not be right for you. Either you're already active in savings, money market funds, stocks or bonds and looking to branch out, or you want to get involved in commercial real estate investing given its higher potential for a better ROI. 1) Dip into your own savings: This way is very dangerous because if any property deal goes south, it could ruin you financially quite drastically. You might think there's no other way, but it's quite risky to do. 2) Find an investor: If you're not able to afford something on your own but ready to do a lot of the work, then finding a silent partner or financial investor is a way to bring spending power to the table so you can get in the door and start working on a property. 3) Join or create an investment group: Investment groups can be anywhere from a handful of people to an entire group. They all have one thing in common: a bunch of people get together to pool their money because their collective investing power is far greater than any of them could individually get done on their own. 4) Talk to banks: Whether you use your own personal credit or establish a formal business entity, you might be able to borrow the money you need or even arrange for a purchase or commercial loan. You can use this to find the money to buy your commercial real estate, which pays for itself and then some in some form or fashion. We found getting a commercial loan from Highrise Investment Group very helpful. 5) Online Crowdfunding: Crowdfunding has become a viable resource, especially through sites like GoFundMe or Kickstarter. The chances of you raising enough money to get a commercial piece of real estate are rather low considering the money involved. And in the case of something like Kickstarter, you might only get money if you promise something in return. Still, it's worth looking into. On the other hand, you might also be better off looking for investors. The right commercial real estate purchase can make you money from leasing and renting to businesses, making money off the businesses on the property directly, or even just buying and flipping. Whatever the case, you now know 5 ways you can finance a commercial real estate purchase. If you are looking to get into commercial real estate investing, one of the very first things you should be doing is getting books on the subject. There is no better way to learn about commercial real estate investing than by reading books from professionals on the subject. 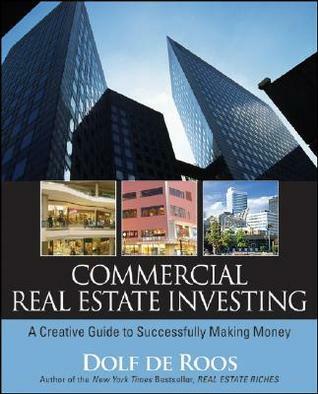 Below, we will be going over some of the reasons to invest in top commercial real estate investing books. The biggest reason to consider investing in top real estate books is that they are affordable. Compared to how much money you would spend by making simple mistakes in commercial investing or by having to enroll in a college course, you should be able to get a lot of value for your money when it comes to buying a few books. Instead of having to spend hundreds or thousands of dollars, you should be able to get a lot of information and tips for very little. Another reason to invest in some of the top books in the industry is that a lot of them have been written by actual real estate professionals. Being able to learn from professionals on the subject will go a long way towards helping you achieve the goals you set for yourself. You will be able to learn the in's and out's of the entire industry and process by investing in books on the subject. A lot of them go over some of the biggest mistakes they have made which will help you a lot as you move along in commercial investing. Another reason to invest on a book in the industry is that it provides you with a great level of accessibility. Being able to access the book, read it whenever you want, and look back on it when needed, you should be able to learn a lot from the books that you buy. In fact, you can even buy books in digital form nowadays which further heightens the level of accessibility. When it comes to finding the best books to learn from, you want to be sure and find books that have excellent reviews. You want to find books that have a lot of positive reviews on the various marketplaces online. By finding the books with the best reviews, you will be able to narrow down your options and find the right books to buy for your learning needs. There is much to consider when it comes to buying books to learn the in's and out's of commercial real estate. Buying books for commercial real estate is a very good idea to get the tips and tricks that you can use within the industry. Along with this, it is a good idea to learn from the mistakes and successes of others that have been in the industry for a long time. Everybody knows that investing in real estate is one of the most profitable decisions you can make. More people prefer commercial real estate over residential property and this is not without its reasons. Commercial real estate refers to the buildings or property used for business purposes such as warehouses or buildings like malls or offices. Places that have offices, malls, industrial complexes and such pay a higher rental fee. This means the profit generated will typically be higher. The advantage here is that you will get the amount invested returned quicker and begin to enjoy your profits sooner. Obviously, the income potential of any property always relies on the location, but a commercial property will definitely be worth the investment in the long run. Usually, when there are problems with the buildings you own you will be called no matter what time it is. This means you could be disturbed late at night with a phone call. The benefit of commercial property is that most businesses operate during the day. If there is an incident, you will likely be called during this time. This is less stressful and can work out well for you. Commercial properties generally have a higher appreciation than residential properties. Over the years, this means a building that is well-managed will last longer, have good tenants and earn you more profits. You will have to ensure that the building stays up to code and the tenants are operating in good conditions. This will ensure that your property can give you the kind of results you expect during your ownership. Commercial properties have more manageable lease terms compared to residential properties. This helps in knowing that the ownership of a commercial property can be less stressful. You can also negotiate lease terms with any of the tenants that are leasing from you. The laws surrounding commercial property leases are written in a manner that makes lease agreements a bit more flexible than the residential ones. Commercial property has more security since the building and the land have value. Even if there are changes in tenants the property will still generate some profit. There are also several taxation laws that will enable you to earn more income without being taxed too much. Keep in mind there are scammers who target investors. Be mindful of this possibility and always conduct proper background checks. When it comes to commercial real estate investing, you want to make sure that you are getting a good deal. You should consider at least five factors that often come into play when making investment decisions. Below, we will go over some of the different commercial real estate investing tips you will want to put in place. The main thing you are going to want to do when you are looking to get into commercial real estate investing is to understand the market. You want to invest in assets you have knowledge in. If you don’t know or understand the market at all, it is likely something you will want to avoid. You should only be investing in markets that you understand and at a time that you understand. If you have no knowledge of the sector or the market, learn more about it before making your investment decisions. When you are making the decision to invest in commercial real estate, you want to be sure you are thinking about the long-term ramifications and potential benefits of the investments. Besides the immediate cash flow needed to make the investment, you want to think about how the investment will turn out years down the road. By doing this, you will be able to plan for the different returns or consequences of your investment. One of the biggest things you want to do when it comes to investing in commercial real estate is to try and focus on one single investment at a time. A lot of people make the mistake of focusing on too many investments at once. This can lead to confusion and poor decision-making. This is especially true when you are first starting out. You should be focusing on one type of investment at a time whether it is office buildings, apartments, retail, or even land. Another area of concern you should have when it comes to commercial real estate investment is to consider the environmental problems and factors that can come into play. You want to focus on this because there are a lot of things that can go wrong with real estate and commercial real estate. If you are going to buy commercial property in an area that is at risk for natural disasters, you will want to factor this possibility into the equation when making your investment decision. It would be wise to get some sort of mentor if you are brand new to commercial real estate investing. By doing this, it will allow you to have someone you can bounce questions off of, and it should give you the confidence to make much better and more informed decisions in your investing endeavors. There are a lot of things to think about when getting into commercial real estate investing. Follow the tips above for the best results. We've been working behind the scenes to bring you a better experience on our site. Soon we'll be launching our new interface that should prove to be more engaging and satisfying with each post that's made. We thank you for your patience, and we'll return shortly with new information.